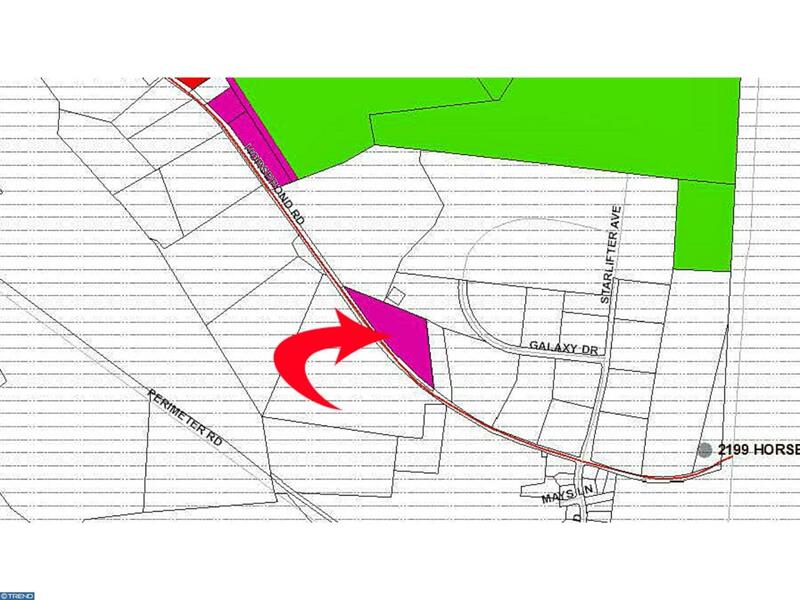 The Troise Horsepond Road Small Property is a 4.4 acre parcel of vacant land zoned for general industrial use, located on the east side of Horsepond Road a short distance north of the Dover Air Force Base Civil Air Terminal. 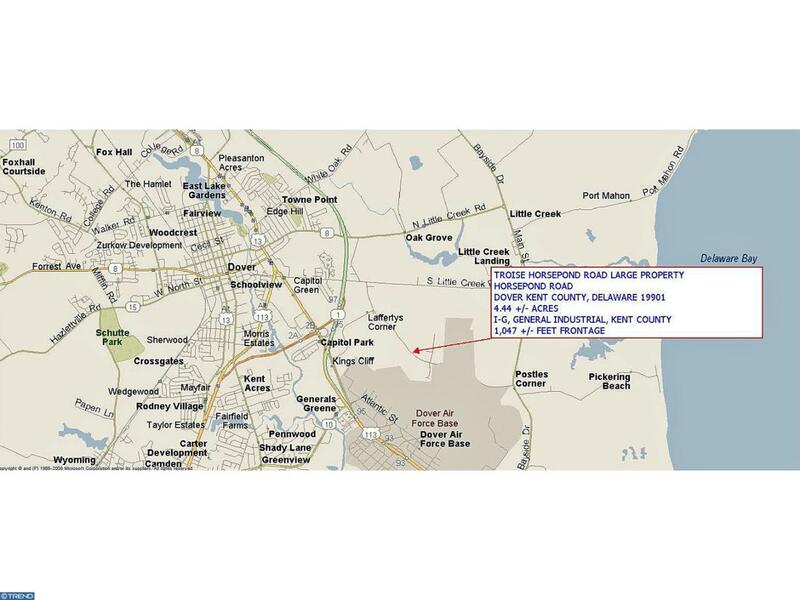 The property is located in the Kent County jurisdiction, and has access to all municipal utilities. 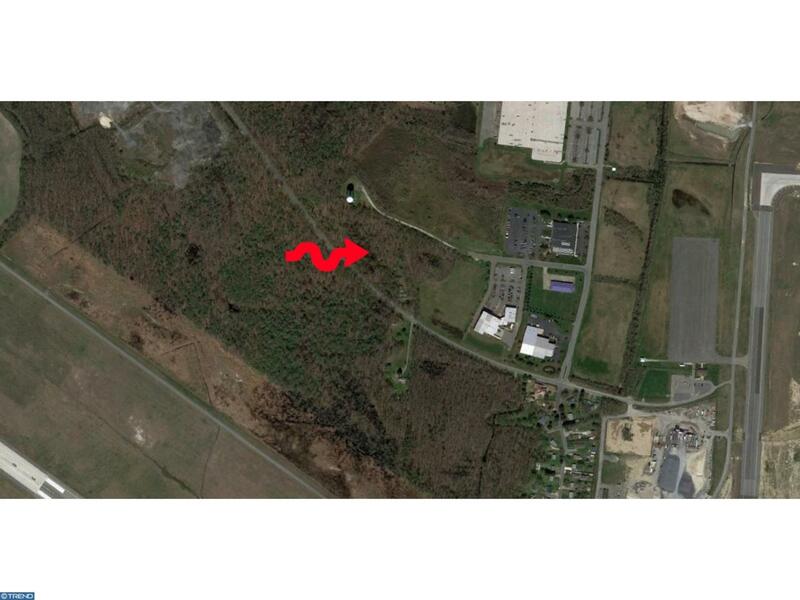 The property is wooded, level, has approximately 1,074 feet fronting Horsepond Road, and is not located in the Flood Plain. 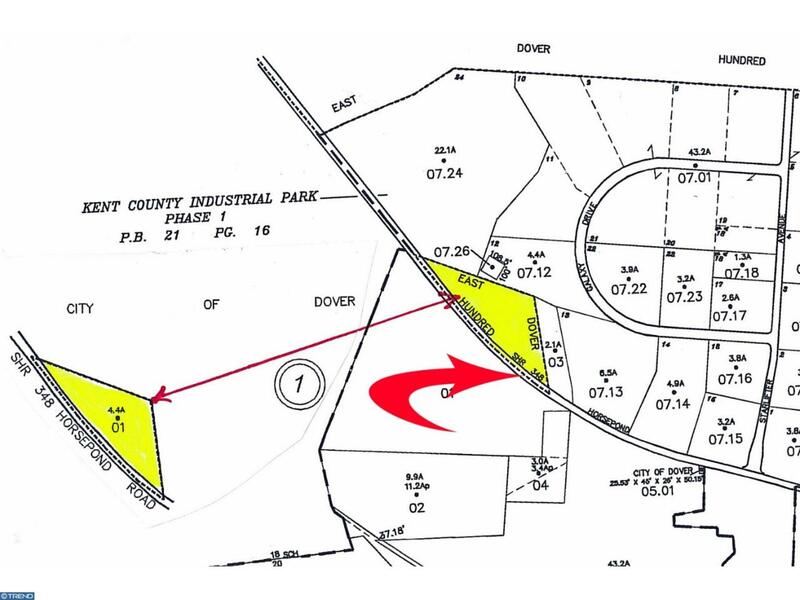 The property is located near the Kent County Aeropark industrial park, and enjoys great linkage routes to U S Route 113 and SR 1.